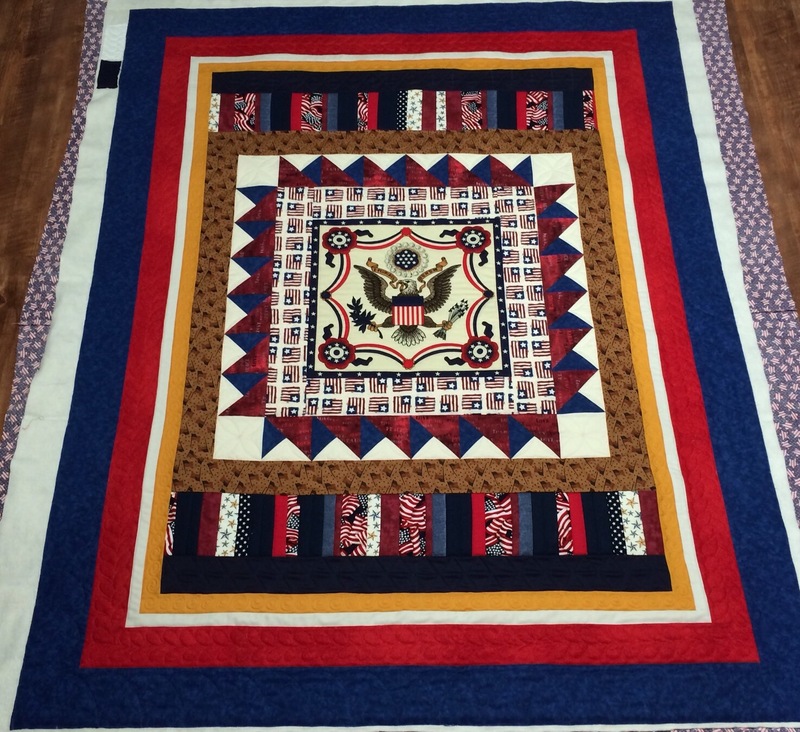 I have two Quilt of Valor finishes to share today. These were both pieced by members of the Stitching Sisters QOV group. They will go back to them for binding, labeling, and presenting. 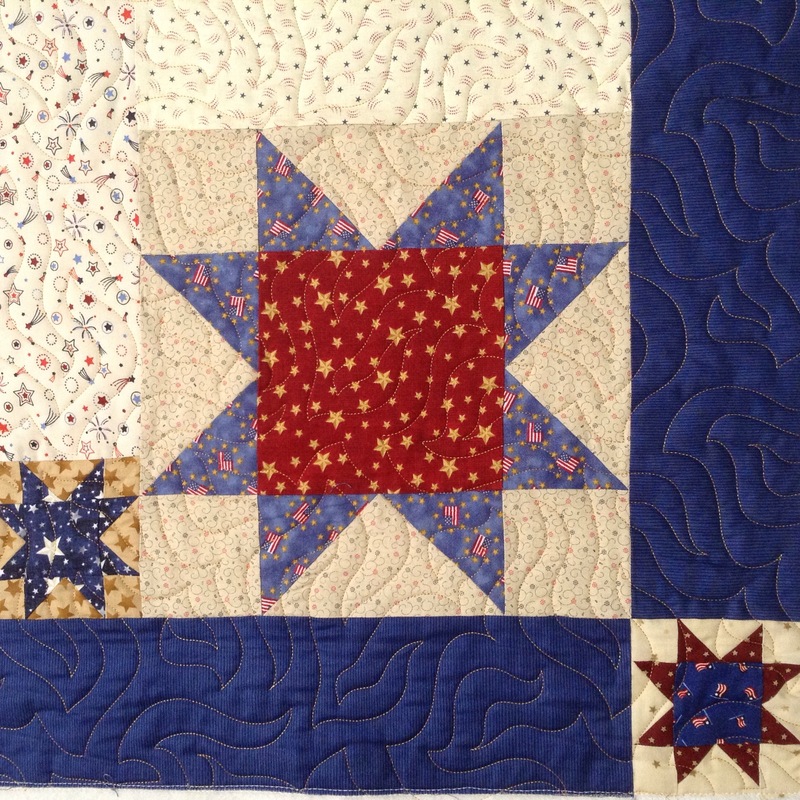 This lovely star quilt was made by Susan. I used a panto on this called All That Jazz. This next one was a group effort. 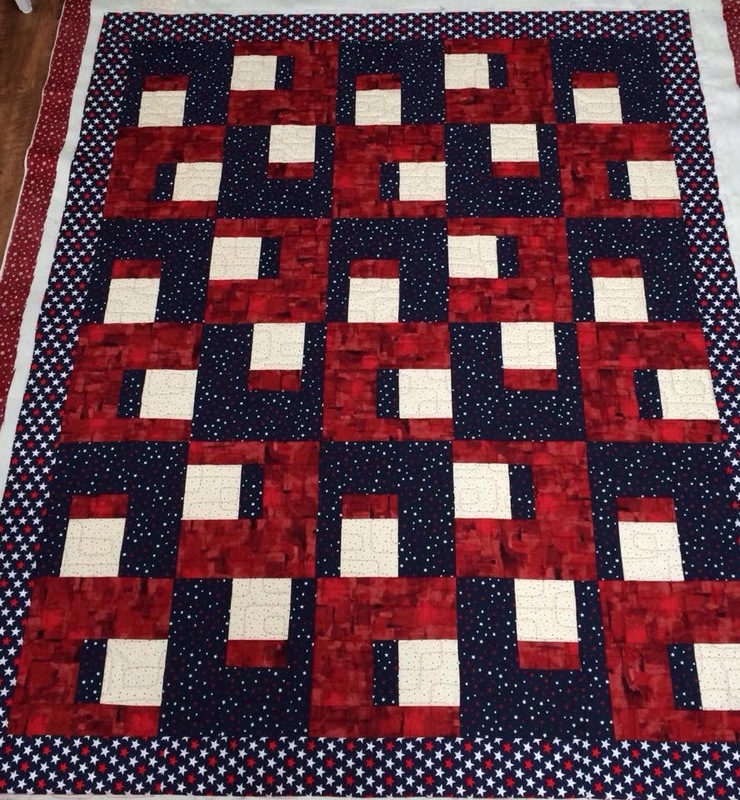 This one was custom quilted with ruler work, templates and freehand quilting. 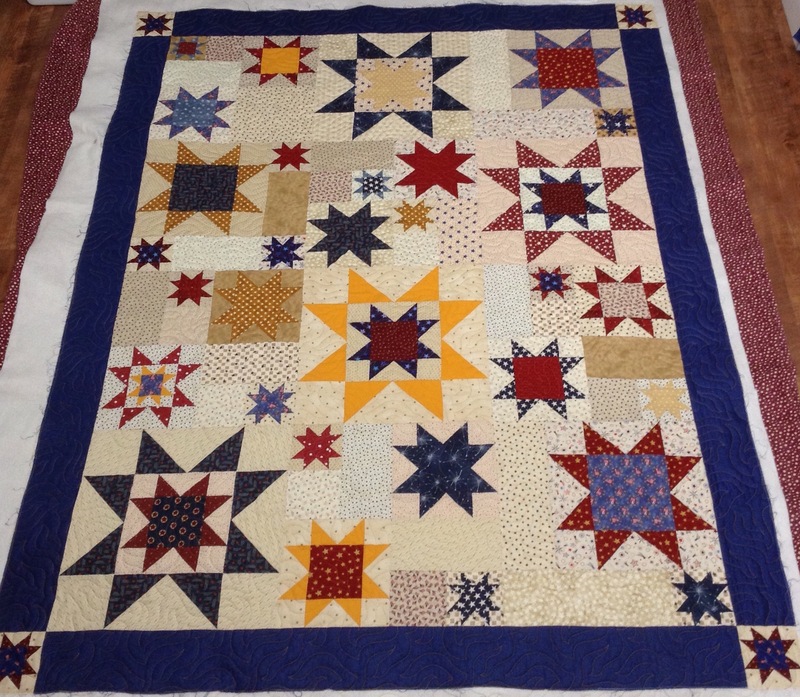 It took almost three times longer to quilt than the star quilt done with a pantograph but I think for a medallion quilt, it was the right way to go. I have one more QOV that I finished a few weeks back and had forgotten to share here. 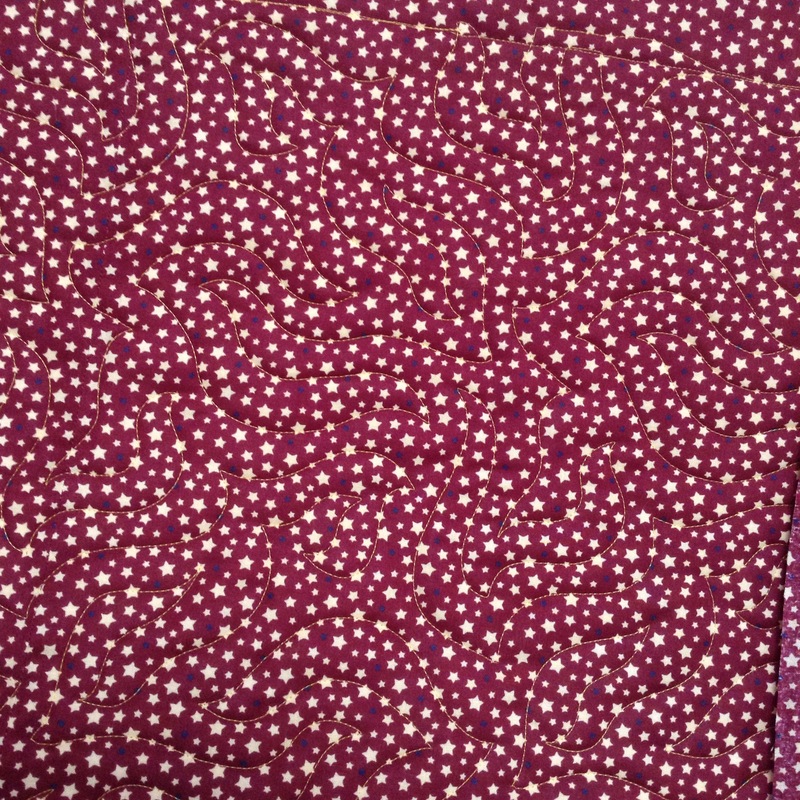 This was quilted with a panto called Cool Beans. 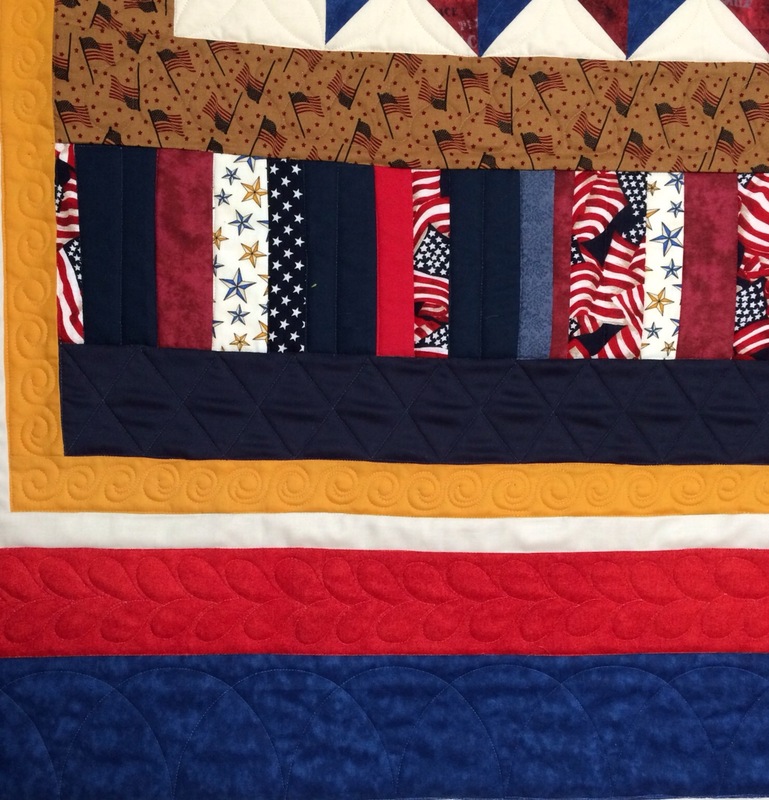 Linking up with Crazy Mom Quilts, Richard and Tanya Quilts, Confessions of a Fabric Addict. 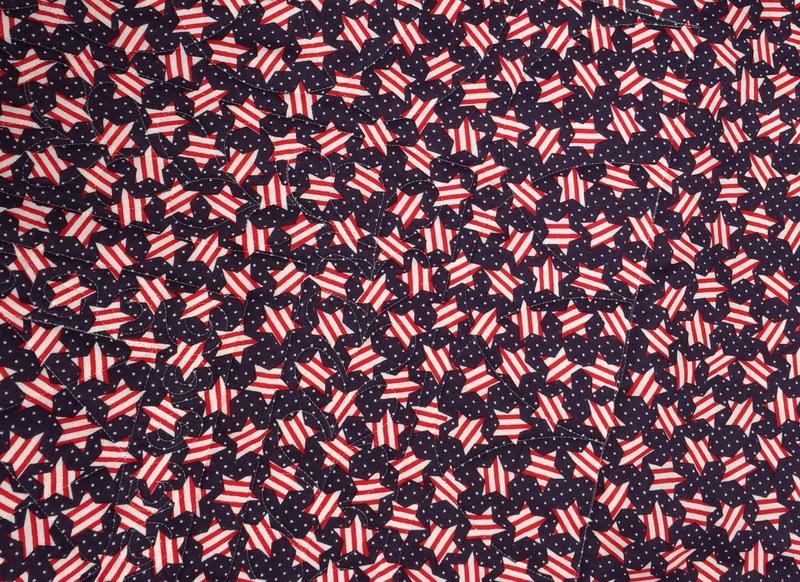 Really pretty patriotic quilts Katy!